In the first half of this year Earth’s CO2 level has surpassed 400ppm, which is the highest level in our history since the Pliocene. It thus appears that we are indeed steering towards an overshoot before stabilizing at ppm levels allowing us to restrict global warming to 2℃ above pre-industrial levels. How can this stabilization still be achieved? 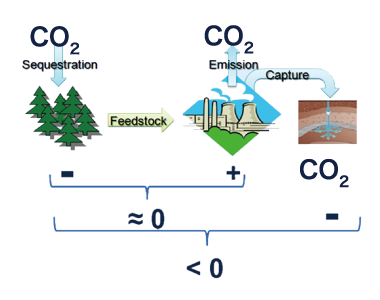 One core ingredient in the mitigation mix are negative emissions (NE)—explicitly put forth as an option also by the recent AR5—mostly based on carbon-neutral bioenergy (due to the same amount being sequestered by feedstock growth as being emitted when combusting biomass for energy generation) combined with carbon capture and storage (BECCS), which in addition captures CO2 during the energy production phase. But also other options are discussed including large-scale afforestation and soil carbon sequestration. Yet, while having long appeared to be an attractive option for climate management, many uncertainties remain—both socio-economically/technologically and on part of the climate science. Policymakers will need a more complete picture of the NE option within the socio-institutional, techno-economic and Earth system context likely to prevail within and beyond their decision-making horizon. Implications for governance and the required behavioral transformation need to be better understood. The main goal of MaGNET is thus to develop consistent narratives of NE management trying to reduce uncertainty within the socio-institutional, techno-economic and Earth system dimensions. What do we categorize as negative emissions technologies (NETs)? How to manage NETs? Use them for negative emissions in overshoot scenarios (i.e. to actively manage the climate) or to compensate for unreduced emissions by countries outside a climate agreement (with the corresponding geopolitical implications)? What are the costs of not having NE options—both in terms of actual cost and risk (i.e. option value of NETs)? What type of NETs offer co-benefits at small scale and in the short to medium run (e.g. char in the case of rural populations)? What are realistic, safe and sustainable NE potentials in different climate and socio-economic futures, where are they exactly, and what does that imply for governance? What are the needed institutional structures and behavioral transformations for the radical emissions reductions implied by NE deployment at different levels of governance (urban to global)? How does the availability of NE alter expectations and thus potentially near-term investment? What would be the implications of further lock-in? Can we realistically assume that NE will be “ready” on time, given the current status? And if there is sufficient upscaling and the technology is ready, will society and institutions be? How much do we know about tipping points that could be crossed during the overshooting implied by an NE strategy? What would be the response of natural land and ocean carbon sinks to negative emissions? And if we cannot resolve these uncertainties on time, what is the relevant option and risk space for decision-makers? As an initiative of the Global Carbon Project, MaGNET will focus on the transdisciplinary dimension of the role of negative emissions technologies (NE) for management of emissions to achieve stabilization at safe concentration levels (i.e. the linkages/arrows between the nodes in Figure 1), but it will also deal with the uncertainties within the different nodes (e.g. 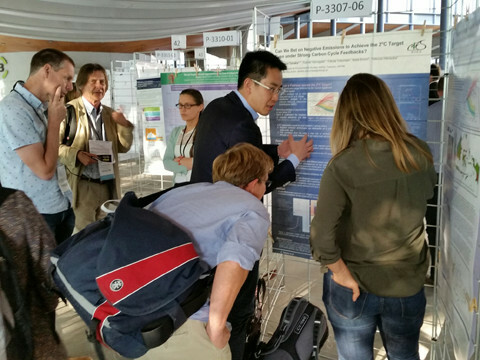 reduce uncertainty about sink response or derive realistic and sustainable bioenergy potentials in the Economy & Technology node, where also new technologies or innovative processes can arise as a result of continues research). We explicitly take into account other options in this portfolio with a special focus on all options’ risk profile and their underlying dynamics. We start from the development of storylines or narratives of dynamic NE management at the center of the framework, based on the current knowledge of how the three components of Earth System, Economy & Technology and Society & Institutions interact. However, any one of these nodes might signal an infeasibility of the envisaged role of NE within the climate change mitigation portfolio, leading us back into the center of the framework and requiring a revision of the storyline and a new round of iteration. 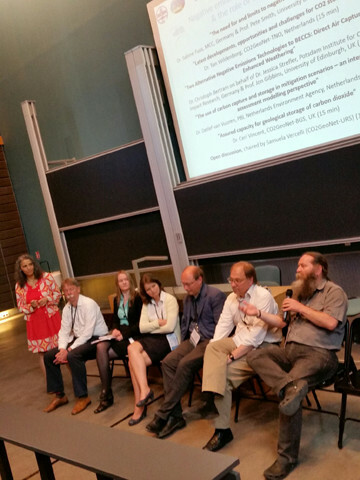 In addition to an interdisciplinary approach taking on board socio-economic and Earth Systems scientists, the initiative will seek to engage with stakeholders in a co-design effort. 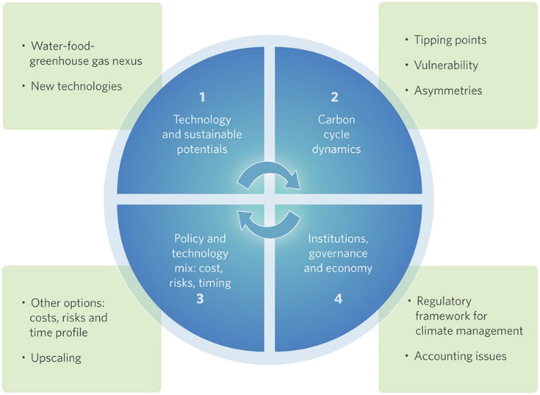 As negative emissions are currently one of the main avenues towards stabilization at ambitious concentration levels and the ultimate achievement of the 2℃ target, it is of utmost importance to keep stakeholders informed about the implications and requirements of large-scale NET deployment and the associated uncertainties. A parallel engagement process is therefore envisaged for the initiative. 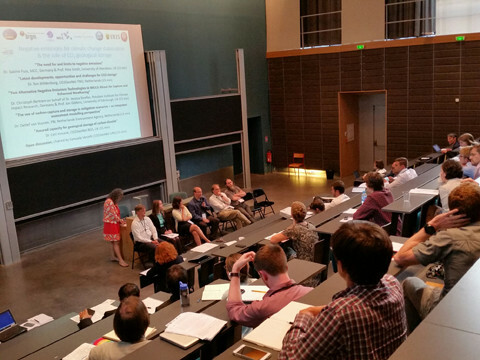 Workshop on Sustainable Negative Emissions: A Climate Risk Management Option? 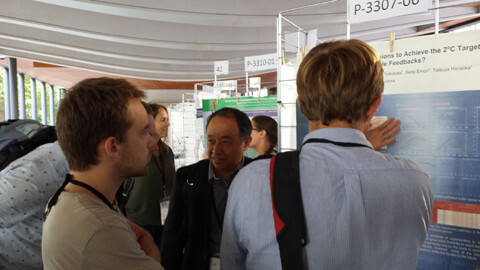 In collaboration with International Institute for Applied Systems Analysis (IIASA), Mercator Research Institute on Global Commons and Climate Change (MCC), and National Institute for Environmental Studies, GCP organized this workshop focusing on various biophysical, social, economic and technological aspects of negative emissions. One important aspect discussed was whether negative emissions technologies will create a situation of moral hazard, where costly transitions to carbon-free technologies are postponed in expectation of future cost reductions in abatement costs and containment of climate risks through BECCS. Whether further lock-in will lead to costly investments in carbon-intensive technologies, which will be a disincentive for later transitions, is one obvious question. The International Energy Agency’s latest update of the CCS roadmap also emphasizes that CCS is not on track and that substantially more efforts are needed in order to have CCS ready to generate the carbon savings needed to stabilize the climate. Concerning the latter, we also explored the question how negative emissions would be coordinated globally in the face of the climate agreement impasse we are currently experiencing. Which countries would agree to be providers of public goods enabling others to maintain industrialized patterns of production and what are their incentives? Can co-benefits provide sufficient grounds for the development of BECCS? Is bioenergy the most promising entry point?